In an effort to cope with mounting budget shortfalls, the Bloomberg administration has announced that it will convert NYCHA facilities throughout the city into micro-airports. The move is seen as a direct threat to smaller area airports such as MacArthur and Newburgh, but is not expected to significantly impact flight operations at LaGuardia, Newark or Kennedy. 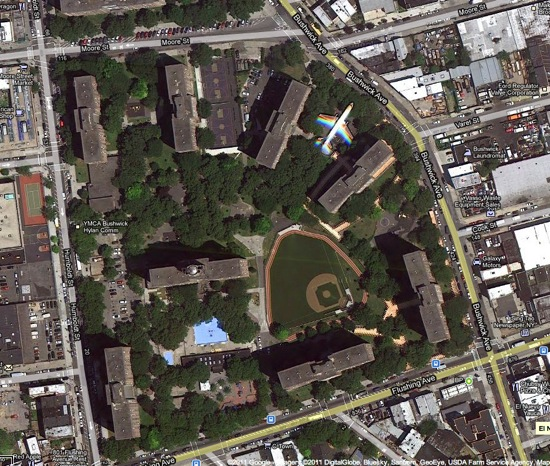 Seen here, via Google maps, is a 737 at Bushwick Houses, ready for take off.